↑ "The Constitution of the Russian Federation". (Article 1) (用英文寫). 喺2009-06-29搵到. ↑ 4.0 4.1 Library of Congress. "Topography and drainage". 喺26 December 2007搵到. ↑ "Russia". Encyclopædia Britannica. 喺31 January 2008搵到. ↑ Excerpted from Glenn E. Curtis (ed.) (1998). "Russia: A Country Study: Kievan Rus' and Mongol Periods". Washington, D.C.: Federal Research Division of the Library of Congress. 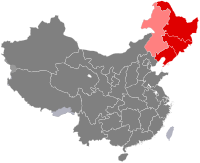 （原先內容喺2007年9月27號歸檔）. 喺20 July 2007搵到. ↑ Rein Taagepera (1997). "Expansion and Contraction Patterns of Large Polities: Context for Russia". International Studies Quarterly. 41 (3): 475–504. doi:10.1111/0020-8833.00053. ↑ Peter Turchin; Thomas D. Hall; Jonathan M. Adams (2006). "East-West Orientation of Historical Empires" (PDF). Journal of World-Systems Research, Vol. 12 (no. 2). 第 219–229頁. （原先內容 (PDF)喺22 February 2007歸檔）. ↑ Jonathan R. Adelman; Cristann Lea Gibson (1 July 1989). Contemporary Soviet Military Affairs: The Legacy of？ World War II. Unwin Hyman. 第 4頁. ISBN 978-0-04-445031-3. 喺15 June 2012搵到. ↑ GDP – Million 1990. CIA Factbook. 1991. 喺30 November 2015搵到. ↑ "Commission of the Russian Federation for UNESCO: Panorama of Russia". Unesco.ru. 喺29 October 2010搵到. ↑ 12.0 12.1 International Energy Agency – Oil Market Report 18 January 2012. Retrieved 20 February 2012. ↑ 13.0 13.1 Country Comparison :: Natural gas – production 互聯網檔案館嘅歸檔，歸檔日期2012年9月21號，.. CIA World Factbook. Retrieved 17 February 2012. 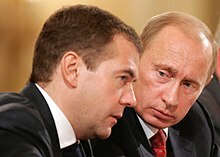 "СЕРВЕР ОРГАНОВ ГОСУДАРСТВЕННОЙ ВЛАСТИ РОССИИ". "俄羅斯聯邦 Russian Federation - 亞西地區 - 中華民國外交部 - 全球資訊網 Ministry of Foreign Affairs, Republic of China (Taiwan)" (用中文寫). 中華民國外交部.